Are you having difficulty on how to clean the Medela tubing? I am glad to know that the number of moms using breast pumps out there are growing each year. It means, more mothers are fully aware of the importance of their milk and the health of their babies. Even with new formulas coming out, nothing could replace mother’s milk! 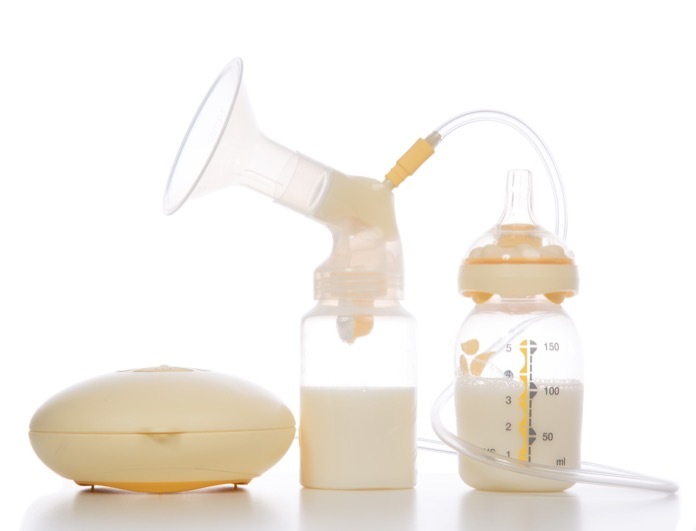 Breast pumps are a significant invention to help moms feed their babies with breast milk. Keeping the whole toolset must be kept clean at all times to prevent bacteria from thriving in it. These bacteria are harmful to the baby’s health. Following the correct procedure on how to clean the breast pump and its parts is essential for a healthy baby. This time, I am going to give you the steps on how to clean the Medela tubing. Holding your bottles straight while pumping. The parts are securely attached and in excellent condition. Check for any damage before you start. There’s no need for you to clean the tubing unless it’s already dirty or condensation from breast milk and molds are present. If it is, then below are the steps for your guidance. Turn off the breast pump. Make sure to do this before unplugging the power source. Unplug the power source. Do not forget to do this before cleaning. Remove the tubing from the pump. Pull it straight out from the ports. Remember, do not twist the tube during the pullout. Twisting it may damage the end where it connects. It will no longer fit right and cause air leaks. Carefully remove the tubing from the breast shield. Rinse the tubing first with clean water to remove the remaining milk. Take note that you need to use lukewarm water when washing. Hot water will melt the tubes. In doing so, position the tubing straight. It enables the water to flow through the holes quickly. Wash the tubing using warm soapy water. Rinse it with clear water to thoroughly rinse the soap out. Some moms, merely detach the tubes from the pump. Instead of using water, they use Isopropyl rubbing alcohol to clean it up. This method is also useful. In fact, it requires less time and effort too. Attach the tubing directly to the pump and turn it on. The motor will dash dry through the tubes thus giving the proper ventilation. Continue doing so (around 10-20 minutes) until you see it’s thoroughly dry. There’s no need to attach the breast shield and connectors in doing this method. Lash the tubing several times until all the remaining water comes out and leave it dry. It would take time, but hanging it dry is the most natural process. They call this method to clean the tubing as the “cowboy” way. Try to watch this to know what I mean. Store it together with the other parts in a cool, dry and sanitary area for future use. I recommend doing this tube cleaning procedure once a week. Sterilizing is extra protection. If you opt to sterilize the tubing, you can use the Medela microwave steam bags. You must understand the instructions on how to do it before doing so. You will find the directions specific for the tubing at the back of the pack. Sterilizing the tubes or using heat to clean it will cause discoloration. It will look cloudy than it used to be. It won’t affect its efficiency or safety though. You can still use it. Do not neglect the tubes. Check for some condensation regularly. Otherwise, molds will grow in time. If you see that the tubing is moldy, it’s time to get a replacement. DO NOT use dirty tubing. Be sure to dry the tubing before storage completely. Being wet or damp when kept will invite molds to thrive in it. If used correctly, only air is supposed to pass through the tubing. But if you see milk present, clean it right after use. To help maintain and prevent molds from infecting the tubing, you can leave the pump on for a while after you detach yourself. Do this until it is dry. Mild soap will do. Do not use harsh cleaners like bleach, etc. An excellent alternative to using soap during cleaning is the application of vinegar. Just replace the soap with vinegar (3 ccs) and do the same procedure as applying with soap. The Medela breast pump comes with manual and instructions. It is best to read and educate yourself about the dos and don’ts. Using and cleaning the pump set will prolong its life. Lastly, always wash your hands before pumping your breast milk. Being a meticulous mom, I value cleanliness at home. It’s one way of preventing my kids from getting sick. However, when I find the parts of my pump set already worn out, I don’t hesitate to replace them. Worn out parts are no longer efficient. Try to monitor your breast pump regularly. Now you know how to clean Medela tubing the right way. Making cleanliness a habit would keep our family safe, healthy and happy. For all the mommies out there, cleaning the equipment you use for pumping your milk is a good start. Keep it up!